One night, we had a staff meeting for managers. The lesson that evening was that “loose lips sink ships”. This phrase dates back to World War II. The idea was to avoid speaking openly about anything to do with the war. You never know how any of that information might get back to the enemy. The same held true for the cutthroat world of CD retail. The reason he had to reinforce that “loose lips sink ships” rule is that one franchisee had made a huge mistake, boasting openly about a great location he had just found for a future store. Wouldn’t you know it, our biggest rival swooped in and took the spot. He heard about it because Gabby McGabberson was telling everybody. The ship had sunk! This served as a reminder to watch what we say. You never know who might be listening. I got caught a few times myself. One afternoon I was talking about an ex-employee who got himself fired. Sometimes I felt like he was making me prematurely grey, and I was venting some steam in store. Little did I know that the guy’s brother was in the store, and reported my words back to him! Whoopsie. At least I didn’t say anything that was not true. He got a new job working at HMV and I think that’s where he was happier to be. Then there’s good ol’ Spoogecakes. I can only guess but the loose lips theory is all I can come up with to explain why ex-coworker Spoogey (remember that explosion of drama?) had such a hate-on for me. It started in mid-2006, about six months after I quit the store. A third party informed me that she had this weird crush/obsession. I was oblivious to that and it was a little off-putting to find out. I think once word got back about how I reacted, the hate set in. I’ll never know for sure, but the point is: anything said can be repeated. Sensible advice. Never show your cards. I took that advice and only answered vaguely from that point on. That’s what I instructed my staff to say too. Loose lips sink ships: “Business is good.” If the customer pressed for more details (and you might not believe it, but some did!) I would just play stupid and say that I didn’t know the numbers. I even caught a guy trying to sneak a glimpse at my sales log book, all casual-like. Can you believe that? Business folks would be well advised to take my old boss’ advice. Loose lips sink ships! It’s the #200wordchallenge! Rock journalist Mitch Lafon has challenged me to up my game. Back in his print days, Mitch used to have a strict 200 word quota — no more no less. * It separated the wheat from the chaff. Click the link to see all the entries. Ratt used to claim that their music was so unique that it deserved the title “Ratt n’ Roll”. This 19 track compilation is the one to get to test that theory. With all the key songs, including two from the first EP and a newbie, Ratt & Roll 8191 (Yes, that’s the actual title) will provide all the spills, thrills and chills that Ratt are known for. And in fact, it makes for a heck of a 77 minute CD. You’d think that would be overkill. You’d be wrong. Sleezy hard rock, flashy 80’s guitars, big drums and hooks are in store for you. So “You Think You’re Tough”? Spin this CD “Round and Round”. Before you know it, “You’re in Love”. Get down and “Dance” just like “Way Cool Jr.”! Soon you’ll be “Back For More”, in fact it’s only “One Step Away”. Or one click away, rather, but keep in mind that “Nobody Rides For Free”. Still, Ratt & Roll can be found affordably. If you’re loaded with cash, look for a Japanese version with a 3″ bonus EP from MTV Unplugged featuring guest Michael Schenker! If you don’t pick up this album, “Shame Shame Shame” on you. Out of the Cellar was my first Ratt album, acquired in a trade from next door neighbour George. Considering how big Ratt were at the time, I expected it to be better. In the 80’s, I felt like Out of the Cellar was a handful of singles padded out by filler. I haven’t played the whole album in years (at least five), so this review is coming from a fresh perspective. Dusting off the CD, I note on the credits the name of producer Beau Hill — never one of my favourites. 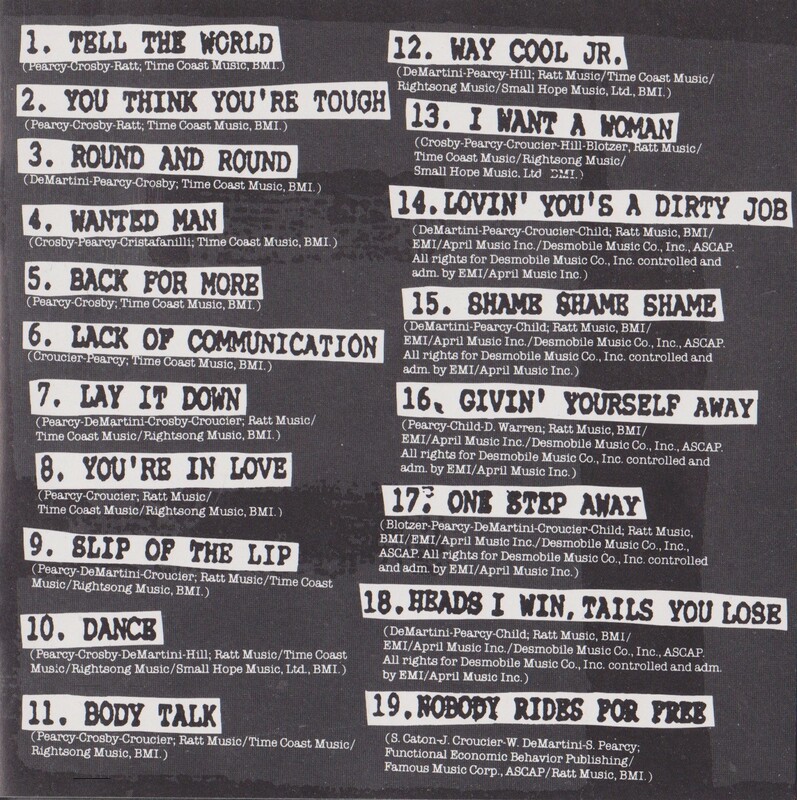 One of the aforementioned singles, “Wanted Man”, opens the album on an up note. The cowboy motif has been popular in hard rock at least since David Lee Roth wore buttless chaps. Tough, slow and menacing is “Wanted Man”. Everything about it is classic hard rock. Finger-blurring solos, thick backing vocals (courtesy of Juan Crocier mostly), and a big chorus are all it takes in the world of Ratt. “Wanted Man” has always been a high point from Out of the Cellar, and it remains just as cool today. “You’re in Trouble” kinda smells funny, as rock songs with funky bass often do. Great chorus, but the rest of the song fails to generate any sort of fist-pumping. This is easily forgotten since the third track is the big one. “Round and Round”…what is it about this song? It’s still irresistible today. Why? Everything clicks. It is the perfect formulation of Robbin’s riffing, Warren’s picking, and Steven’s sneer. Bobby and Juan keep the pulse tough and punchy. It’s just one of those magical songs from that era that still has the goods. Moving on, “In Your Direction” is suitable for an album track. Ratt referred to their sound as “Ratt N’ Roll”, because according to them, it was their own sound unlike other bands. That may be so, but unfortunately Ratt N’ Roll is pretty limited as far as genres go. If you cross “Wanted Man” with “You’re In Trouble”, you get something like “In Your Direction”. Ratt albums have always suffered from too many soundalike songs. Smoking solo though — very Eddie-like. “She Wants Money” is pretty good. These old melodies are coming back, as are old memories. “She Wants Money” is one of the strongest non-singles on Out of the Cellar. Frustratingly, “Lack of Communication” is a good song that lacks a good chorus. “Lack of communication, back off!” Something’s not clicking there, which is too bad because the rest of the song was really decent. What we need now is another single. “Back For More” was always outstanding for a Ratt song. The acoustic intro was the only soft moment, on an album composed 100% of rockers. “Back For More” is punchy and memorable, a pretty great example of Ratt N’ Roll because it doesn’t sound too much like the other songs. Stormy guitars and cool Pearcy vocals keep “The Morning After” rocking ’til dawn. “I’m Insane” ain’t too bad, another nondescript pedal-to-the-metal Ratt N’ Roller. “Scene of the Crime” is another fairless faceless Ratt song, which closes the album. It’s a fairly limp ending, and there’s nothing about the production that really aids or abets the album. Listening to Out of the Cellar today is much the same as it was in the 80’s. It has enough high points to give credit where credit is due, but given the chance to listen to it or a “best of” CD, you’re going to go with the compilation. It’s too bad Ratt couldn’t have tightened up some of these songs a bit first, in the writing stage. NEWS: Looks like RATT needs a singer…again. Stephen Pearcy has left Ratt, again. Hardly a surprise considering the crap Bobby “Da Blotz” has been spewing lately. (See: Metal Sludge for details) Wishing physical harm upon your own singer isn’t what I would call classy. “After 30 years creating the band Ratt and losing a real brother, (late guitarist) Robbin (Crosby), it’s time that I personally part ways with the band. and most of all, the disrespect to the fans. I’m very content and proud of the legacy and the music I’ve created. This music will live well beyond any of our lifetimes. I owe no one anything but a huge heartfelt thank you for coming to the party for the last 30 years. With much respect, life goes on and the music I created will continue to be heard for years to come despite the dark clouds that have lingered for far too long. I will personally continue to make music and perform live shows. Ratt needed a comeback. Lineup changes galore, deaths, poorly-received changes in sound — forget all that stuff. The band has since stabilized. Pearcy’s back on lead vocals, and Carlos Cavazo (ex-Quiet Riot) has taken over guitar duties from John Corabi. Corabi’s a rhythm player, not a soloist (and that’s not a knock on Corabi). Cavazo rocks out quite a few solos on this album. The difference is noticeable, and it’s a welcome return to something like the Ratt sound of yore. Do you like twin leads? Cavazo and Warren DeMartini rip out a few, each with his own distinct sound, but meshing well like they’ve been doing this forever. Cavazo also contributes strong co-writes to about half the album. Surely, you can’t imagine a better match than this for Ratt. Pearcy’s in great voice, the passages of time disguise-able. But be forwarned, if you never liked Pearcy’s style before, this album is not going to change your mind. His vocals are augmented by some nice, but not overdone, backing vocals from the band. 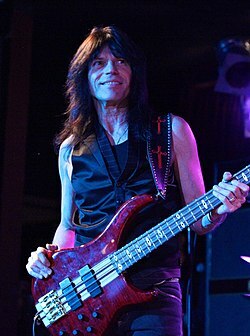 Longtime bassist Robbie Crane supplies backing vocals while holding down the bottom end. The sound of the album is pure Ratt, but modernly produced; surely the best sounding record they’ve done so far. Picture a heavier Out Of The Cellar. There are nods and winks to other eras of Ratt as well: I hear a little bit of “Way Cool” here and there, and damned if “Best Of Me” wouldn’t have fit right in on Detonator. Yet this is no retro-fest, as much as it does echo the 80’s. There are still sounds here that sound tougher and more modern, like the fast and heavy opener “Eat Me Up Alive” (my second favourite song). There’s filler here, but even the filler is worth holding your finger off the skip button. All except perhaps the dreadful “A Little Too Much”. There Japanese bonus track is a cool slow groove rocker called “Scatter”, with a great memorable chorus. This is the best song to me. Itunes got the track as well, but because I always prefer a physical edition, I bought the Japanese for my physical copy. You will have to judge the value of that expenditure yourself, however I deemed it worthwhile. There are also three live bonus tracks on the iTunes version, worth getting. 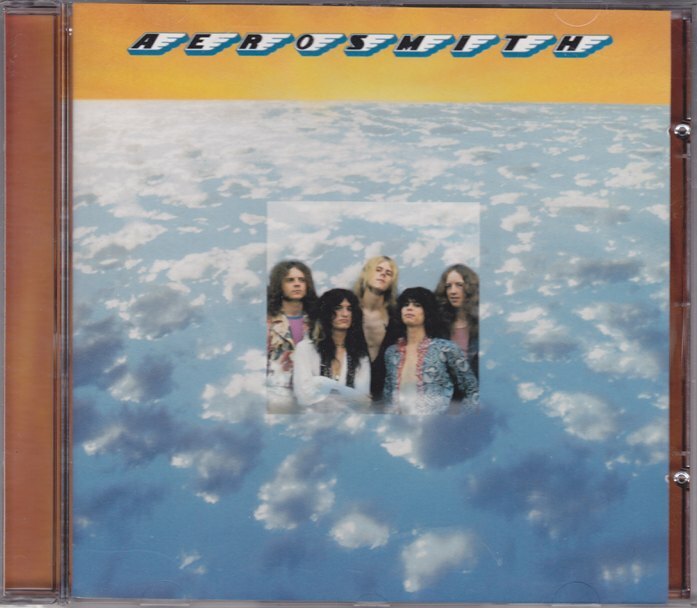 These songs are “You Think You’re Tough”, “Tell The World”, and “Way Cool Jr.”, all previously unreleased and with Cavazo on guitar, “Live from the Rockline Studios”. 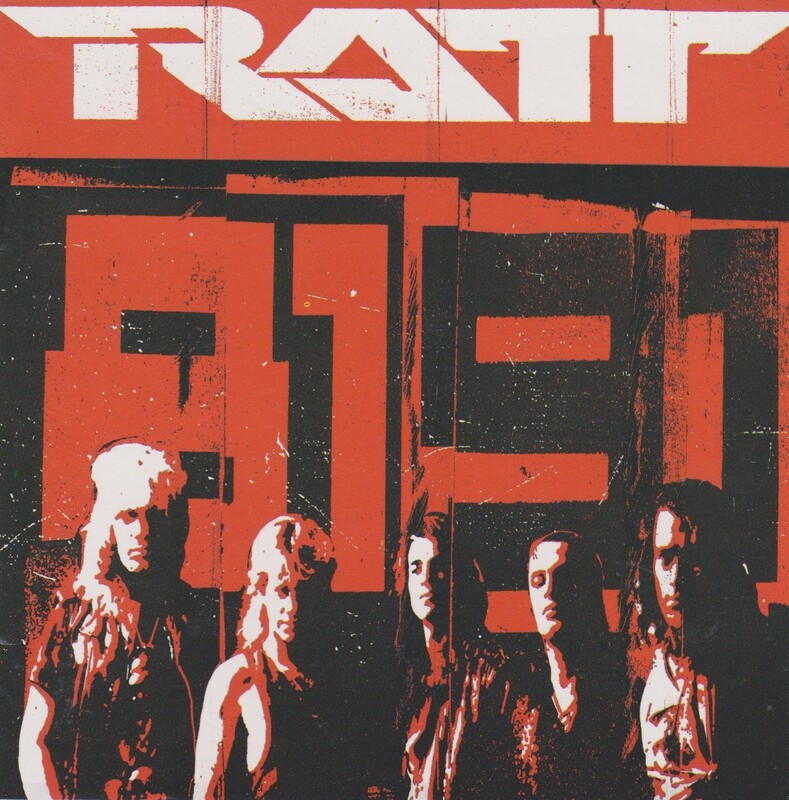 “You Think You’re Tough” is my favourite song from Ratt EP. If you have ever liked Ratt, pick up Infestation if you’re curious what the band sounds like 25 years later. This is a solid Ratt album, not classic, but song for song among their better records. They’ve retained their signature “Ratt N’ Roll” sound, but also what dignity and integrity a bunch of Ratts have. Well done.